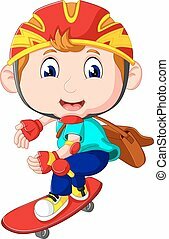 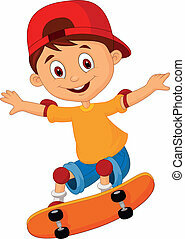 Boy doing skateboard jump. 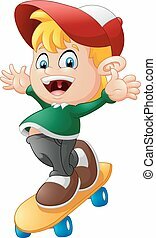 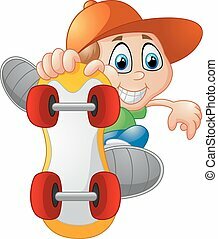 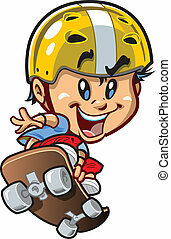 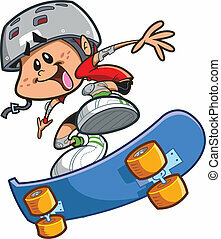 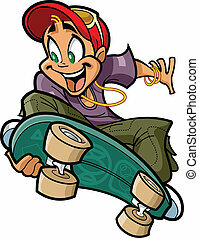 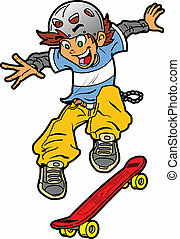 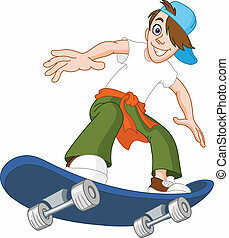 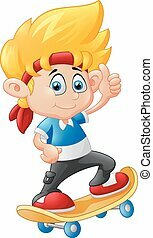 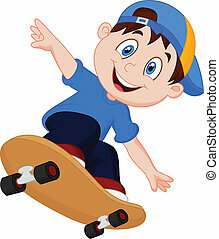 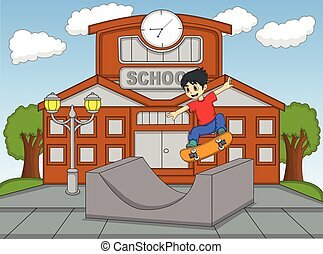 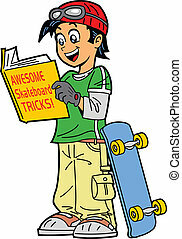 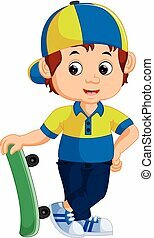 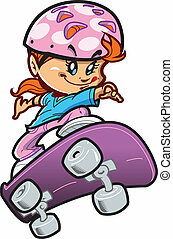 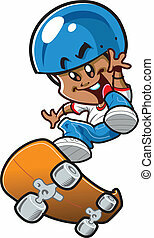 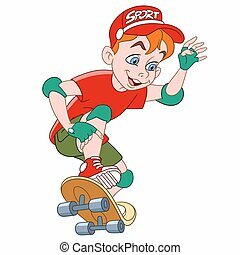 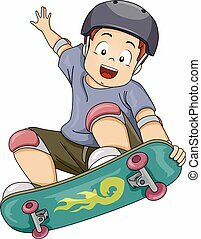 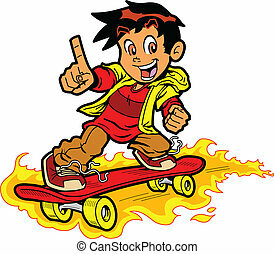 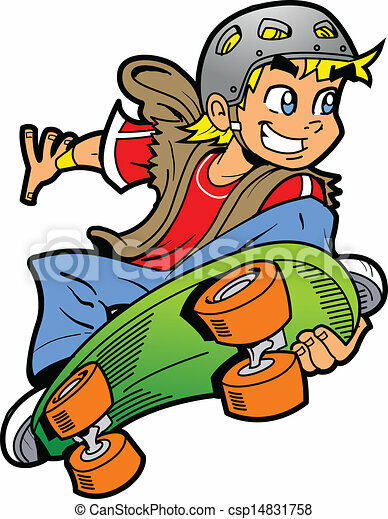 Cool smiling young man or boy doing an extreme skateboard jump. 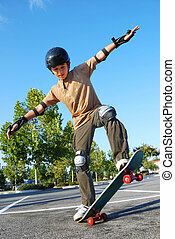 Teenage boy balancing on a skateboard in a parking lot on a sunny day with blue sky and trees in the background.